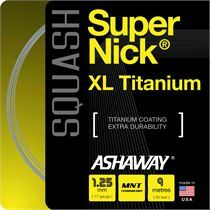 The Ashaway Supernick XL Titanium squash string provides titanium additive in the nylon resin wear layer for enhanced durability, multifilament construction ensuring gut-like performance, and textured surface for optimum ball control. The string is ideal for players seeking superior playability, power and durability. It features 1.25mm gauge and is 110 metres long. 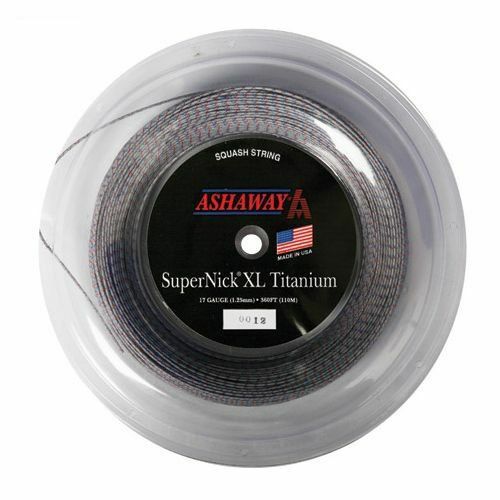 for submitting product review about Ashaway Supernick XL Titanium Squash String - 110m reel.